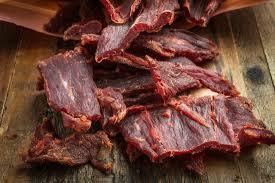 Pacific Coast Jerky Factory has been providing the highest quality, grass fed beef jerky for over 35 years. Made using 100% Grass Fed USDA inspected USA Beef, made in small hand crafted Artisan batches and with no preservatives, No MSG, Gluten Free and 97% Fat Free. Taste the difference in all Three Flavors available in 1 lb resealable bags. Jim Beam Premium Beef Jerky is made with the finest cuts of USDA USA Beef, is 97% fat free and is made in small Atisan hand crafted batches using the finest ingredients and authentic world famous Jim Beam Bourbon for a unique Beef Jerky eating experience. 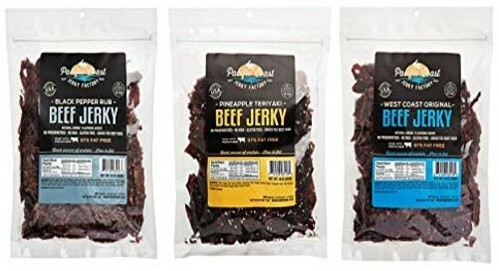 Enjoy all three flavors in 3 oz resealable packages.